Full-size pickup buyers are a difficult crowd, and they have every right in the world to be. The reality is that we want our truck to be able to handle a variety of tasks without flinching. One of these tasks is obviously to tow whatever we need towed, but we also want our truck to be spacious, luxurious, comfortable, packed with the latest technologies, and safe. 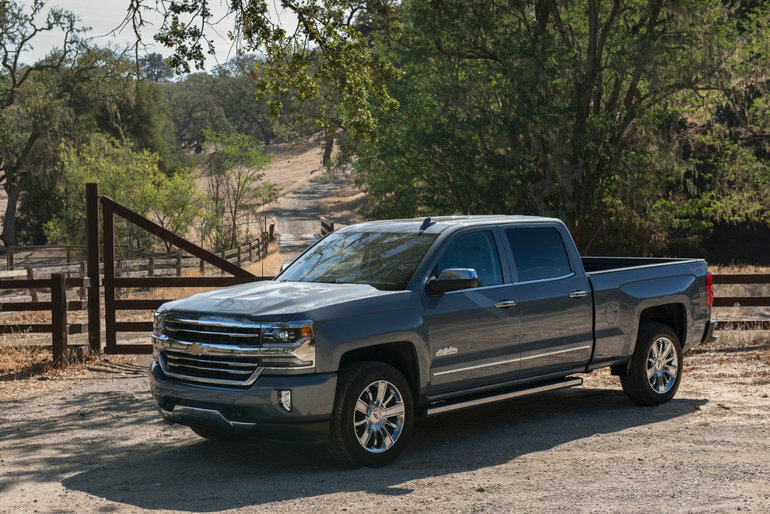 That’s where the 2017 Chevrolet Silverado stands out from the crowd. With 3 engine options a wide variety of models to choose from, there is a new 2017 Chevrolet Silverado for everyone and for every need. That would explain why the new Silverado is so popular with the experts. All-purpose vehicles such as the Chevrolet Silverado can haul passengers and plywood and tow trailers up steep grades without breaking a sweat. It's one of the reasons why the modern full-size truck is one of the most popular vehicles on the road today. They come in many forms, from a sparsely equipped, three-seat workhorse to leather-wrapped people haulers. Fully loaded crew-cab models even rival full-size luxury sedans in terms of rear seat legroom and creature comforts. The 2017 Chevrolet Silverado 1500 is no different, offering a variety of cab and bed configurations and tons of available features. The 2017 Chevrolet Silverado 1500 is a full-size pickup truck that's better than a half-ton Labrador retriever—just as friendly and loyal, but highly unlikely to leak in your shoes. To learn more, contact us today at Bruce GM Middleton!